"The mysteries and possibilities of the Universe may be closer to Main Street than you may have ever Imagined". A show about interesting people and inspiring ambitions. 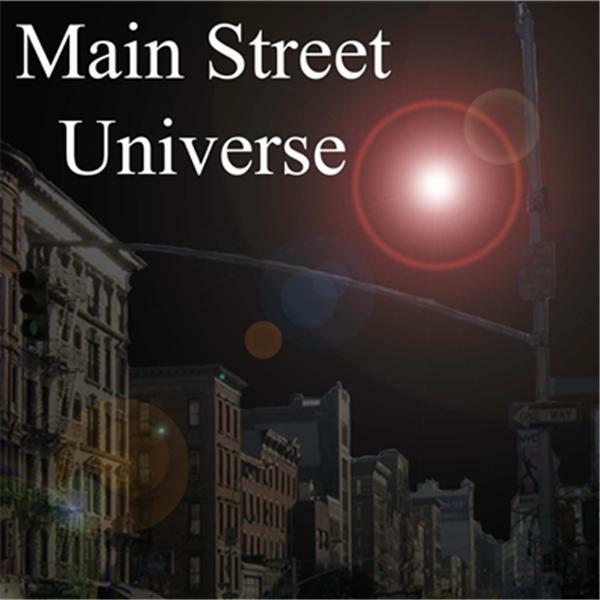 Main Street Universe is the "Flag ship show" hosted by Daniel Michael, associate producer Genise R. White and Brett Hillman. Other hosts include executive producer and co-creator Kevin Baird, Jesse Ann Nichols George, Susun Weed, Queen Mother Imakhu, Darren BuCare, Randy Goldberg and more to come!!! Main Street Universe : Margot Adler "Vampires are Us"
Join host Daniel Michael , associate producer Genise R. White and Brett Hillman as they welcome their guest Margot Adler!!!! Margot is an author of 'Drawing Down the Moon" , "Heretics Heart" and recently "Vampires are Us" as well as being a reporter for National Public Radio. Margot was the first American interview for J.K. Rowling. For more on Margot visit : http://margotadler.com/ By 'Vampires are Us" here : http://www.amazon.com/Vampires-Are-Us-Understanding-Immortal/dp/1578635608/ref=la_B000AQ3KO2_1_3?s=books&ie=UTF8&qid=1391643996&sr=1-3 Here is a video of a lecture she gave at Judson Memorial Church: https://www.youtube.com/watch?v=2k3LEJyLbVo Tonight part of our discussion will focus on the popularity of Vampires in our modern pop culture. Join us in our circle!!!! Join hoat Daniel Michael as he returns to jump start Main Street Universe !!! the show and network reminding you that the mysteries and possibilities of the Universe are closer to Main Street then you could eveer imagine!!! !